GEORGE Clooney isn't bothered about not being a father. The 52-year-old actor split from girlfriend Stacy Keibler in July and admits he was "surprised" to find himself single again but he is adamant he isn't bothered about starting a family or marrying again. 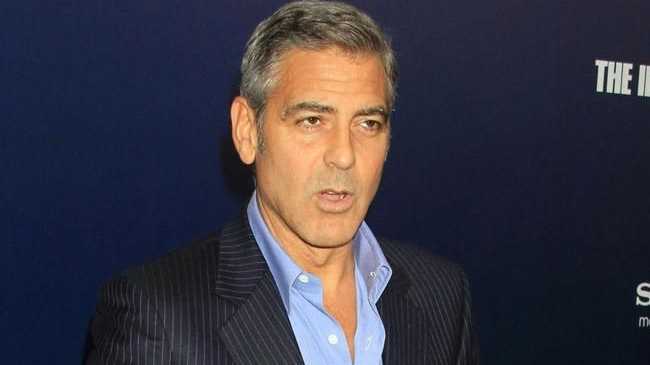 Clooney told the new issue of Esquire magazine: "I am surprised, yeah. But I'm surprised by almost everything that's happened in my life. "I'm surprised I don't live in Kentucky and sell insurance, too. I mean, I really am." Discussing his view on marriage, he added: "I haven't had aspirations in that way, ever. I was quoted as saying I'll never get married again pretty much right after I got divorced and then I've never talked about it since." The Hollywood hunk - who was married to actress Talia Balsam from 1989 to 1993 - thinks he "wasn't very good" at marriage" and although some people might think it is strange he doesn't have any children, he doesn't feel any need to become a dad. He said: "What do you do? Should I go, 'I got to get me some kids right now!' Then rush out and impregnate someone? "Look, what I do know is that I was raised in a loving, happy family. I don't have any dislike or distrust of that."